Operations Director for the South of England, James Diamond discusses the recovery of ravens in England in recent years and addresses often inaccurate accounts of licensed killings relating to this protected bird. Ravens have seen impressive recoveries in range and numbers, after years of persecution. You can see that recovery over the past 50 years on these BTO maps. It is estimated there are now between 7,000 and 8,000 breeding pairs in the UK and the English range continues to spread eastwards through the Midlands and infilling gaps elsewhere. I see that on my local patch in lowland Devon. Over the past ten years ravens have moved from being an occasional winter visitor, to a breeding resident. With that very welcome population increase has come an increase in the frequency of reports of individual birds and flocks of non-breeding birds causing problems with livestock, and especially predating and harming young lambs. There have recently been some very inaccurate media and social media reports about the licensed killing of ravens in England and it is worth reminding ourselves of the reality. The raven is fully protected in law by the Wildlife and Countryside Act 1981 (as amended). The Act offers the species general protection, meaning it is illegal to kill a raven. It also provides exemptions for licences to control them to be issued – under strict conditions. There has been no increase in Natural England’s licensing activity regarding ravens in recent years and Natural England has not received any licence applications to ‘cull’ (reduce the overall numbers of) the species in England. All licences have been for specific farms and allow them to kill a limited number of birds, with the action to be targeted against particular problem birds or, where large flocks are involved, to reinforce scaring, within a defined area. In 2016, we issued three licences covering three farms for a maximum of 12 ravens. In 2017, we issued two licences covering four farms and a maximum of 19 ravens. All these licences have expired. There is currently only one licence live in 2018 covering three farms and 15 ravens. There are no new powers to issue licences to protect livestock – the legislation for the issue of licences to protect livestock from serious damage has been in place since 1981. In determining any licence application, we take account of the requirements of the legislation and the policy tests set out by Defra on behalf of Government. These 5 tests include the need to show that: actual damage is occurring: the species is actually causing the damage; other reasonable and practical non-lethal alternatives have been considered; the action is proportionate; and that the conservation status of the species will not be negatively affected. Evidence must be submitted by the applicant that will enable us to apply the tests and determine if the application can be granted a licence. 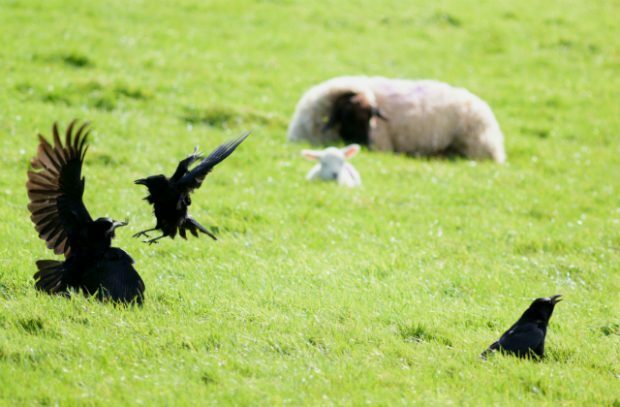 Whilst there is evidence to confirm that ravens can cause damage to livestock, the mere presence of a raven on a carcass does not mean that that bird killed the lamb, it may have fallen of natural or other causes and the carrion is being scavenged. We are reassured that our approach is exactly as Martin Harper describes on his RSPB blog and gives confidence to farmers that problems can be dealt with legally and effectively. One lesson we have learnt is that until recently we routinely published licensing statistics online. This was removed due to very low numbers of page views. Whilst we are always happy to provide numbers on request, having this available online would enable us to demonstrate that there is no increase in activity or culls. We are looking at the feasibility of bringing that information back online in future. Protection for the raven is strong and the recovery of the bird is proof that this protection is working. I am looking forward to seeing their numbers increase further not just in my patch but across the country.